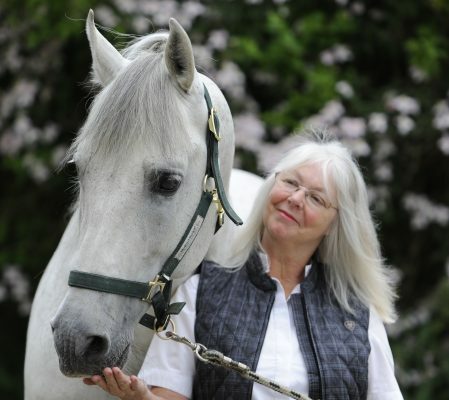 Jenny Rolfe has been passionate about horses since childhood, spending much time observing herds of native ponies, learning about their nature and ways. Then she developed a love for dressage but felt the methods taught could not bring about that all important connection she felt with ponies as a child. Jenny became inspired by Iberian horses and Classical teaching and she travelled to Lisbon with her Spanish stallions to train with the Chief Instructor of the Portuguese School of Equestrian Art , Antonio Borba Monteiro and also Classical Maestre, Luis Valenca. On her return to the UK, Jenny continued her path of discovery with her Spanish stallion, Delfin. He revealed the amazing power of breathing as a profound connection between them. Jenny believes that breathing and subtle changes in energy are the key to learning the language of the herd and harmony in riding. 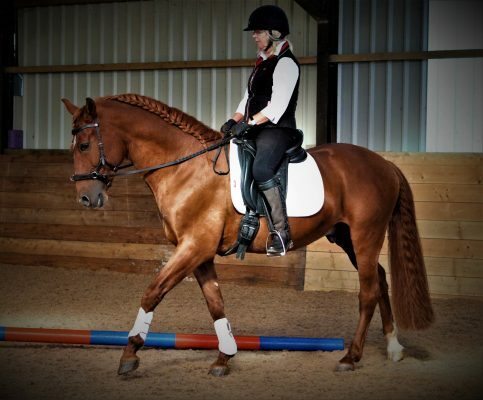 ‘Neither horse nor rider can learn unless they are calm and receptive’, says Jenny. 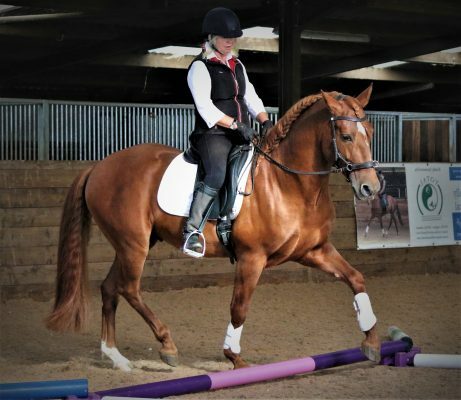 Jenny is the author of three books, Ride From the Heart ‘ and ‘Breathe Life into Your Riding’ and her latest is ‘A Spiritual Path for the Classical Rider’. Over years she has contributed to equestrian magazines world wide. She has designed the Gentil Bitless Bridle which is featured within an extensive library of Training Videos. 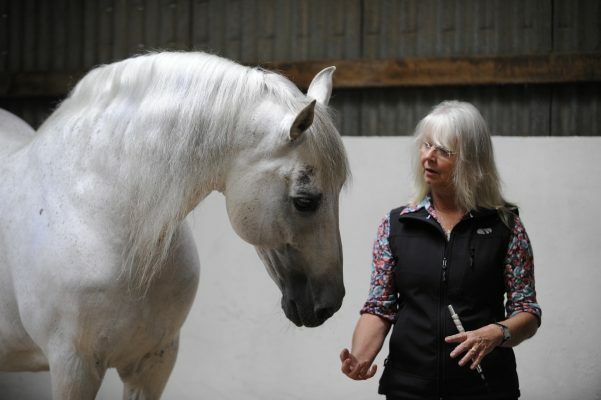 These videos show both Jenny and her students, with their horses.